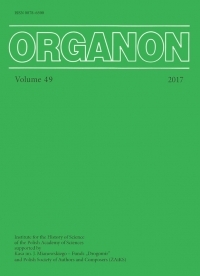 ORGANON is a peer reviewed journal publishing contributions on any aspect of history and philosophy of the humanities and sciences in English, French, German, Italian, Spanish, and, occasionally, in Latin. 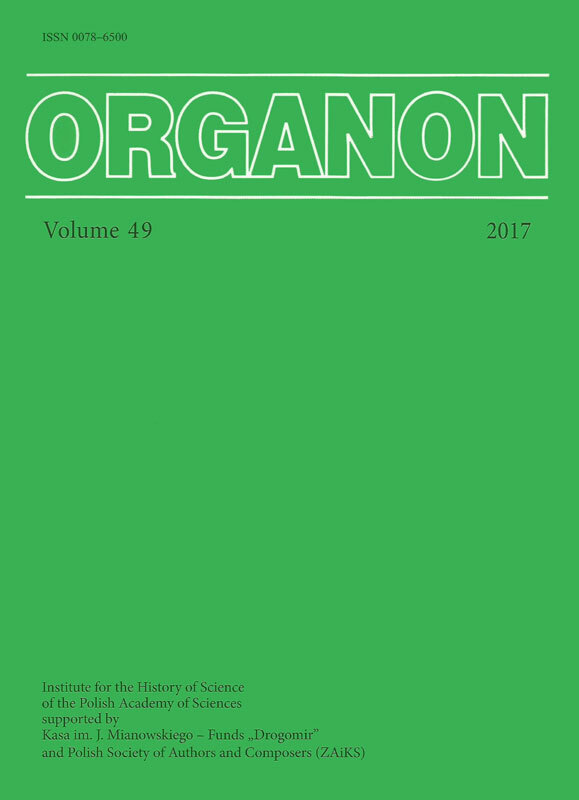 ORGANON was founded in 1936 by Stanisław Michalski as an International Review and published by the Mianowski Institute for the Promotion of Science and Letters. The first issue contained the seminal essay “The Science of Science” by Maria Ossowska and Stanisław Ossowski. The second issue was published in 1938, and the third in 1939 (of which the entire print run was probably lost during the Warsaw Uprising hostilities in 1944; a few articles are now available as offprints). ORGANON was re-established by Bogdan Suchodolski in 1964. Comprehensive summaries and an index of authors for the years 1936-2008 were published in issue 37(40) in 2008. ORGANON has been given NAT category by the ESF in 2011 and is indexed in ERIH, ERIH PLUS, BazHum and CEJSH. ORGANON is supported by Kasa im. J. Mianowskiego - Funds 'Drogomir' and Polish Society of Authors and Composers (ZAiKS).